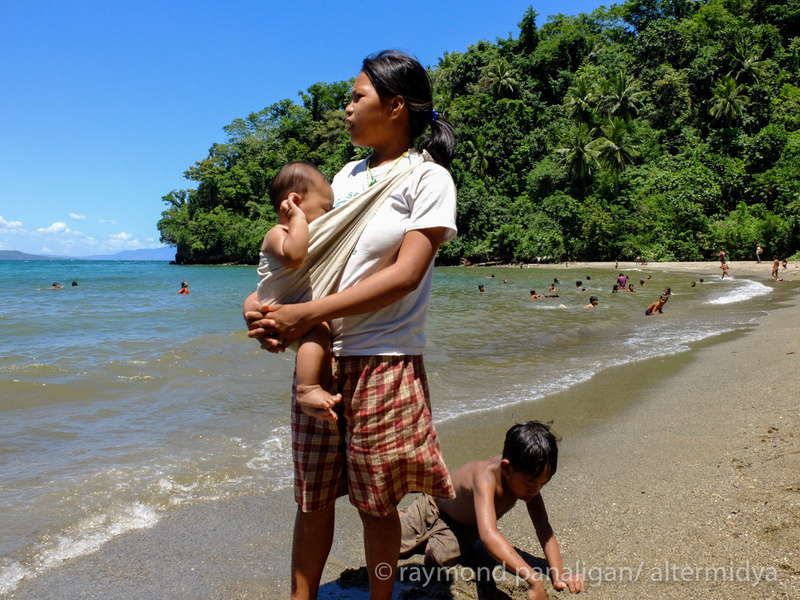 The Mangyan Day is an annual celebration of the Mangyan indigenous people of Mindoro. 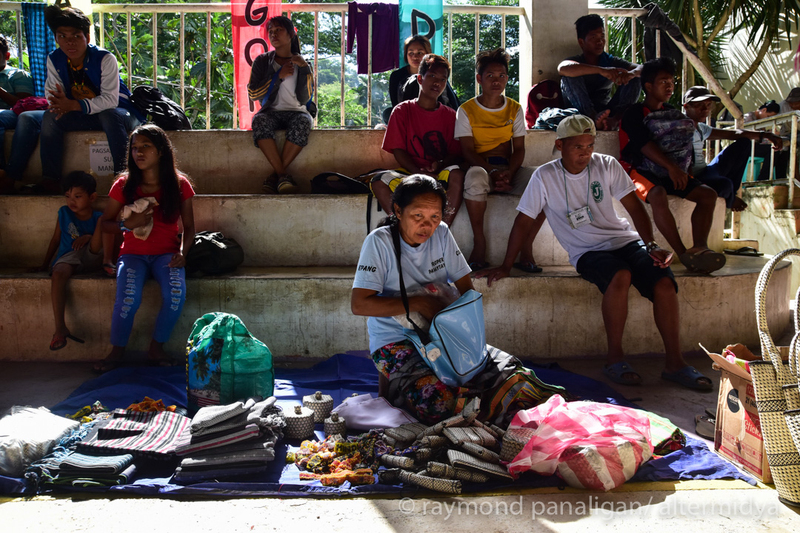 The Mangyan are proud of their ethnicity, history and ancient wisdom as a people united in their quest for self-determination and the attainment of their ancestral lands. 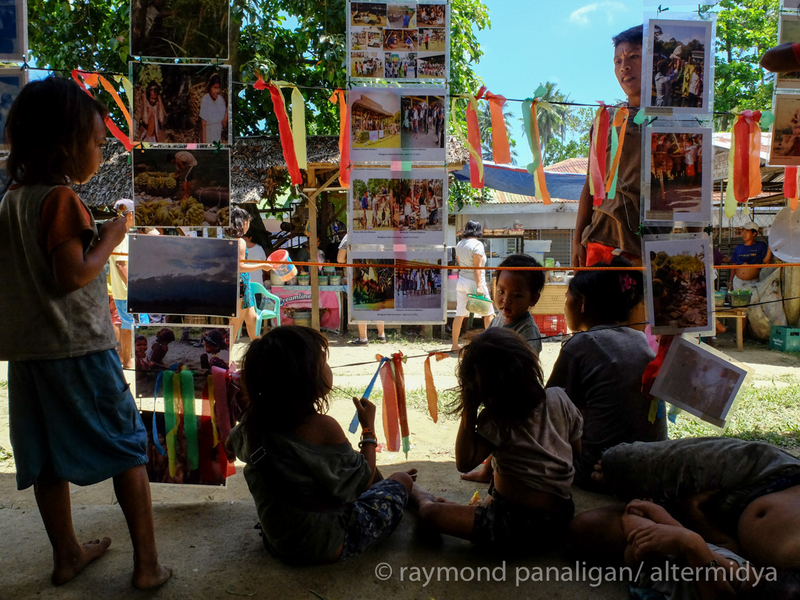 This photo essay by veteran photojournalist Raymond Panaligan taken during Mangyan Day, held in Brgy. 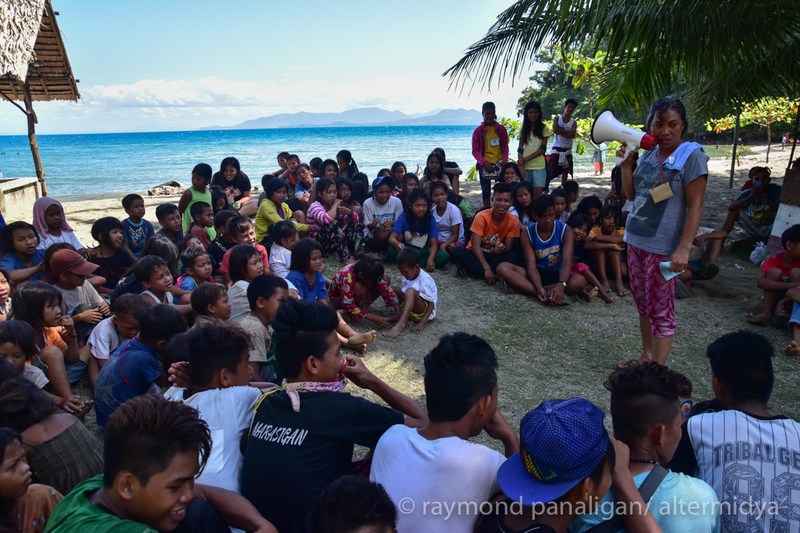 Villafor, Puerto Galera, Oriental Mindoro from April 13-16 shows how the Mangyan people celebrate their culture and struggle amid growing repression. 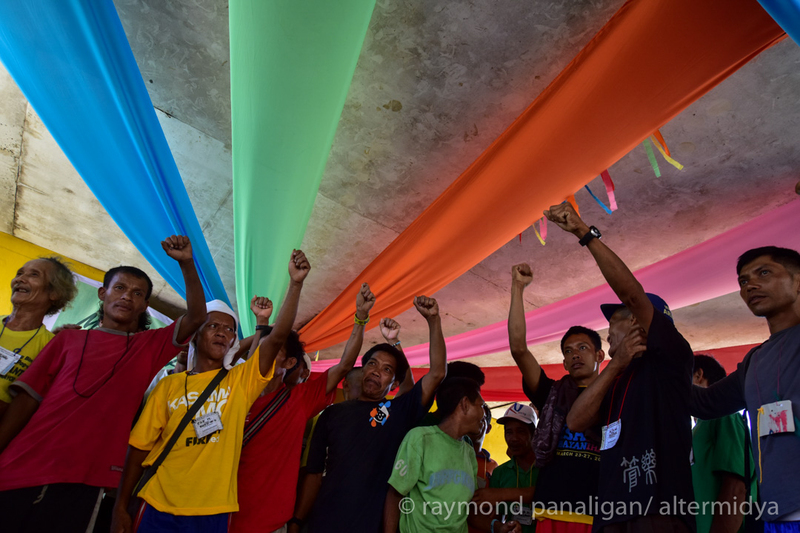 Mangyan Day represents a unifying moment where the 7 Mangyan tribes (Hanunuo, Alangan, Gubatnon, Iraya, Buhid, Bangon, Tadyawan) gather to share experiences and challenges in their quest for self-determination and attainment of the Daga Kagurangan or ancestral land. 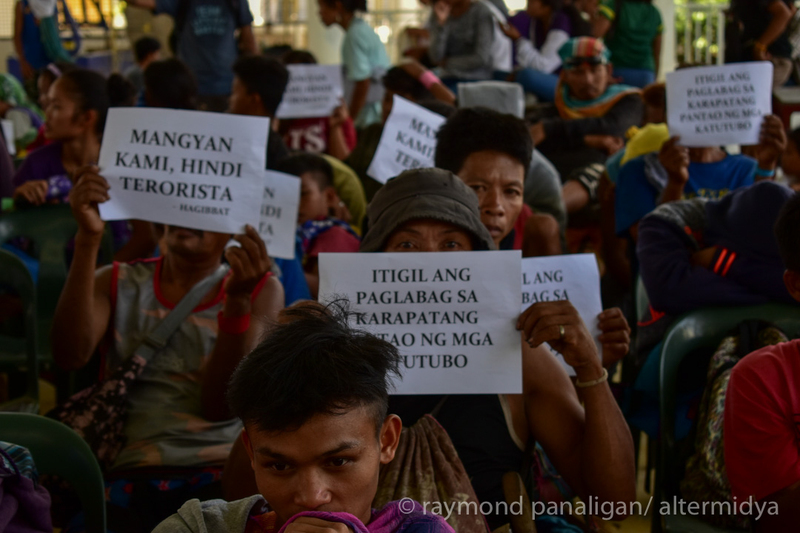 After President Duterte ordered th military “to flatten the hills,” military operations became rampant in a number of Mangyan communities accused of harboring communist revolutionaries. There were killings, disappearances, witch-hunting and illegal arrests, which caused fear and disrupted community life. HAGIBBAT Mangyan Leaders from different tribes engaged in a dialog with Or. Mindoro Governor Alfonso Umali, Jr. to discuss human rights issues, militarization and encroachment in Mangyan lands by foreign-owned renewable energy projects and big mining corporations. 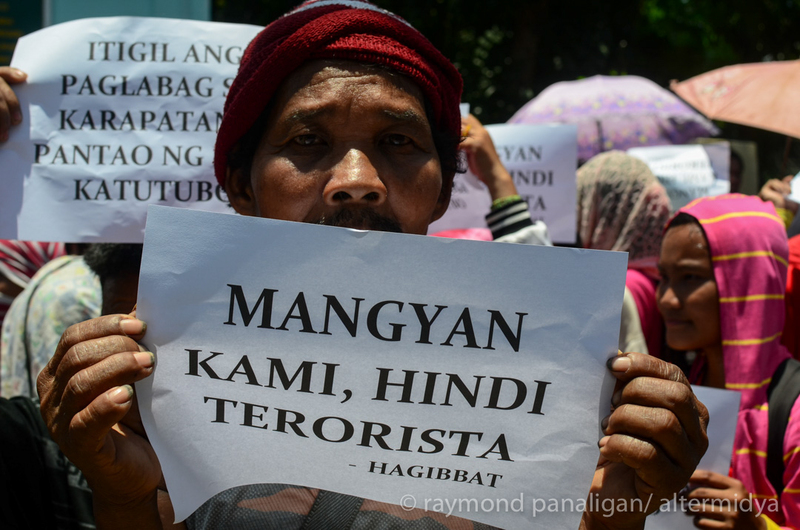 The Mangyan people also called the government’s National Greening Project as a “bogus reforestation program” that would displace them from their lands. Likewise, energy projects and big mining wreck had already caused massive flooding and encroachment in their ancestral domain. 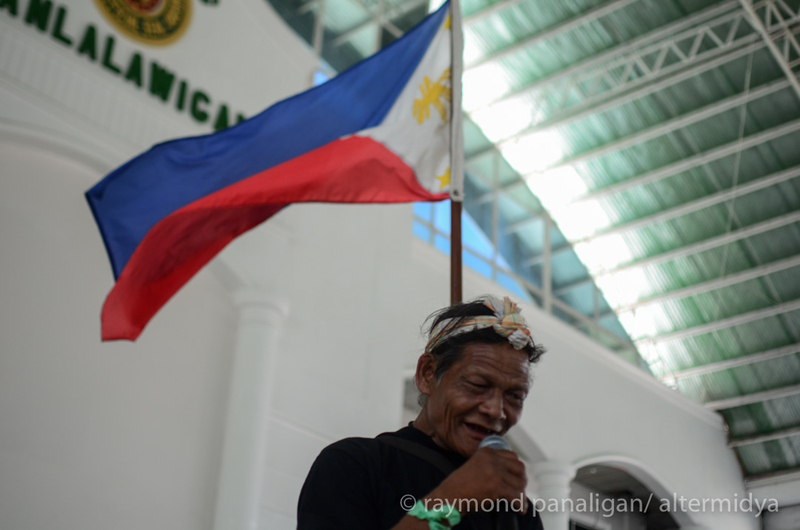 Mangyan leader Bapa Kalot recites an Ambahan–a traditional form of Mangyan poetry–during the dialog at the provincial capitol. A Hanunuo woman prepares traditional Mangyan items for selling in a street market during the 11th celebration of Mangyan day. 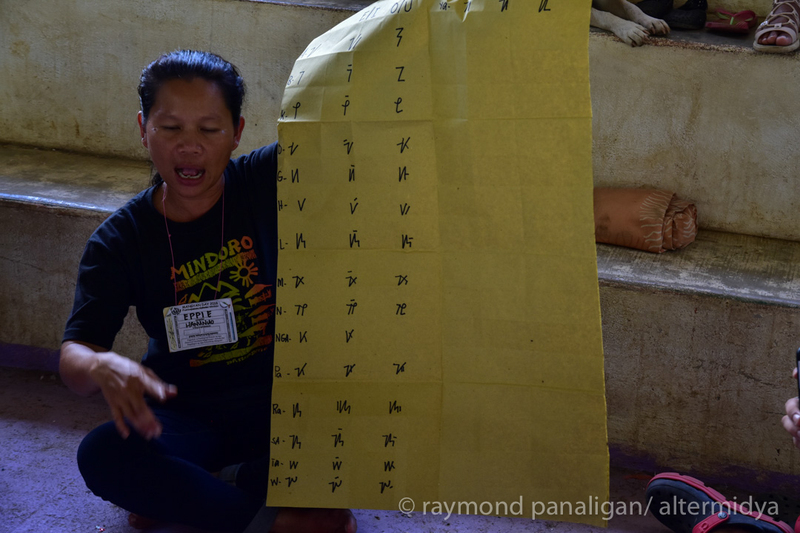 A Hanunuo woman explains the Surat Mangyan, the traditional Mangyan writing that was declared by the United Nations as a World Heritage. Mangyan leaders during the start of the 11th Mangyan Day celebrations. 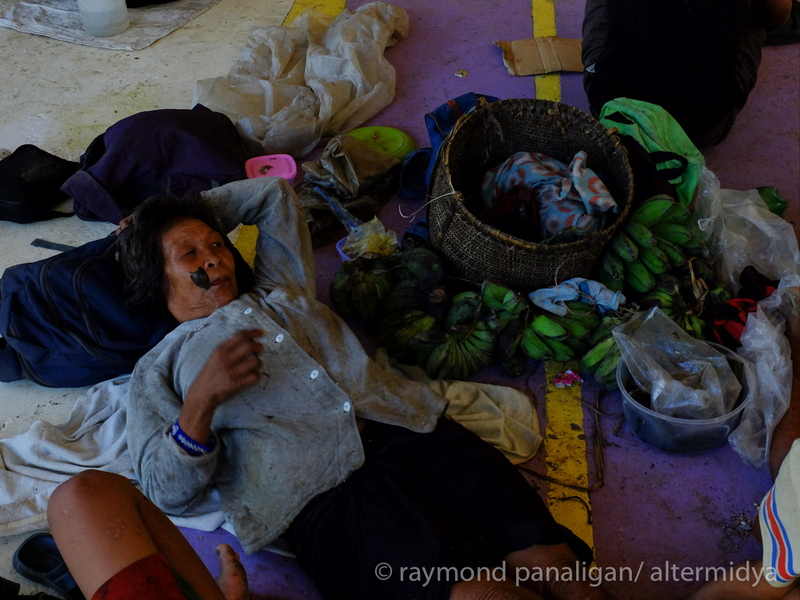 A Mangyan woman resting and smoking during the Mangyan Day celebrations. A workshop for children, facilitated by the Salinlahi Foundation. A separate workshop on child-rearing was given to Mangyan women. Exhibits showcasing Mangyan life and culture adorned the makeshift tents. 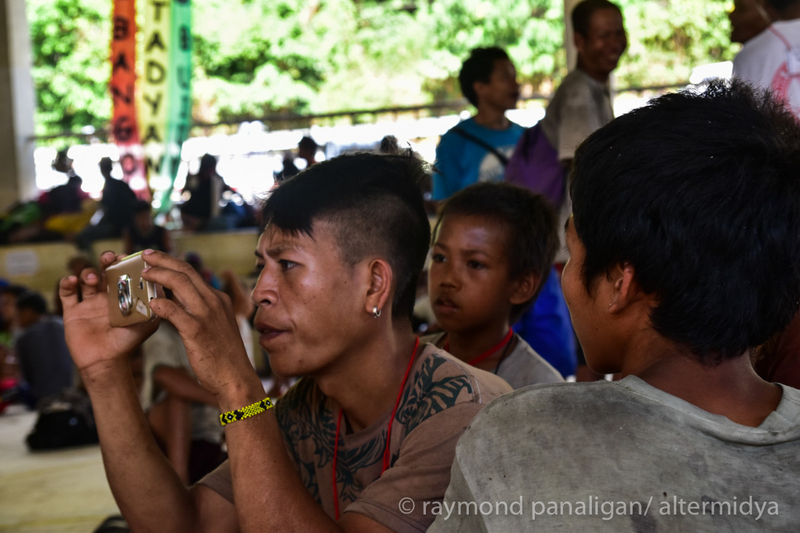 The Mangyan are also adapting to the use of digital tools. 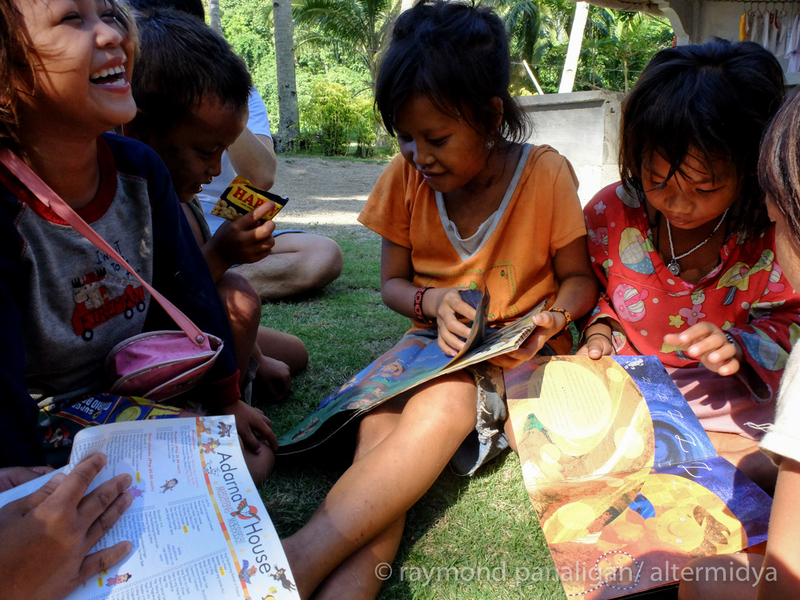 Children’s books are a way for Mangyan children to learn about other Filipino cultures. 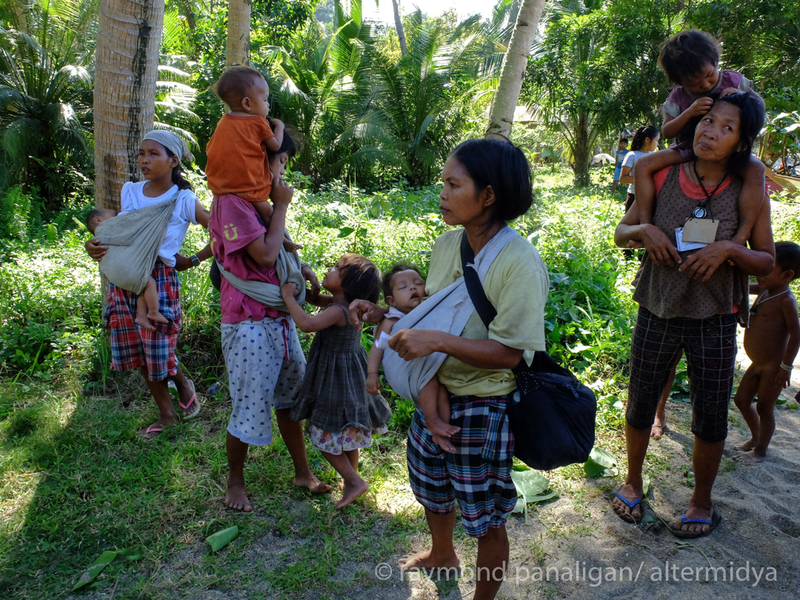 For the Mangyan people, the struggle for self-determination and a peaceful life continues. 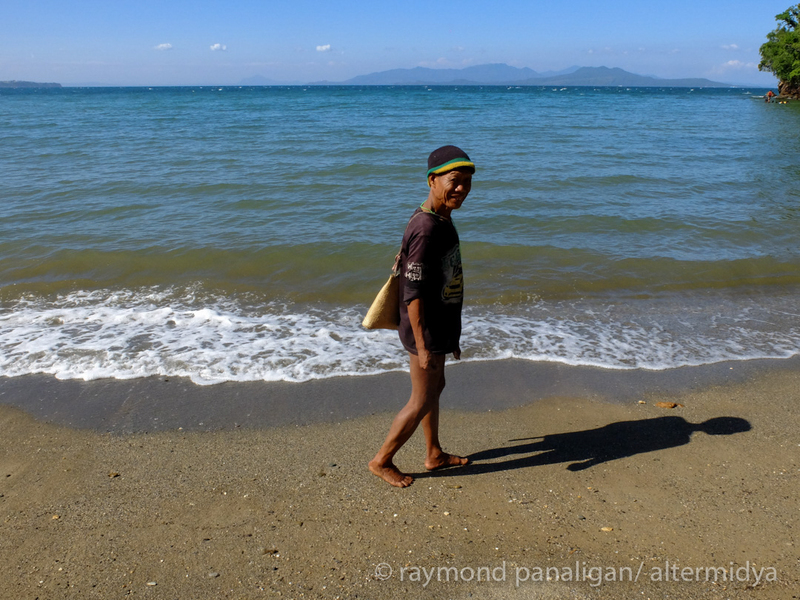 Raymond "Bogsi" Panaligan shoots for local publications and works closely with non-government organizations. He has participated in numerous exhibits about indigenous peoples, and the environment, as swell as his experiences in New York City as a grantee of the Asian Cultural Council in 1999. 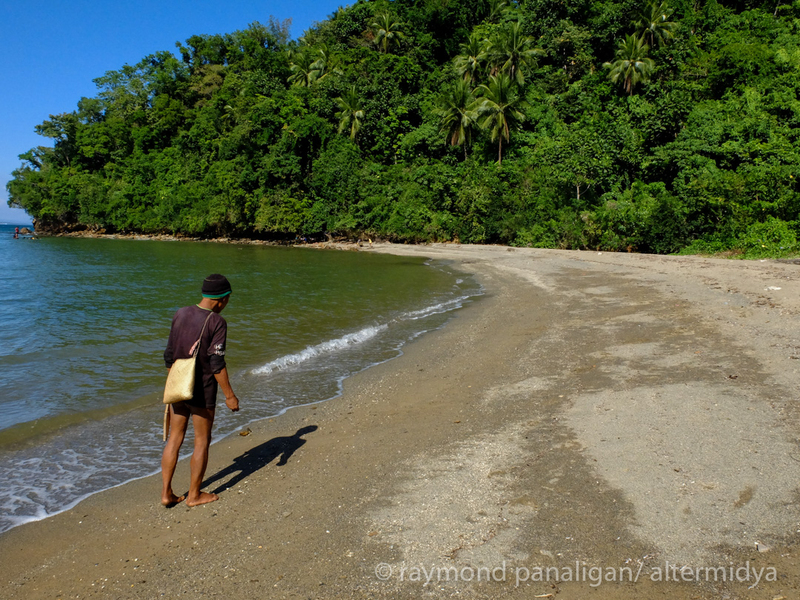 Since 1992, he has been documenting the Mangyan tribes in the island of Mindoro. In 2014 his work,The Mangyan Photographs, was exhibited at the 10th Angkor Photo Festival in Siem Reap, Cambodia. Mr. Panaligan was also among the first recipients of the Ateneo Center for Journalism/World Press Photo Foundation Photojournalism scholarship grant in 2006. 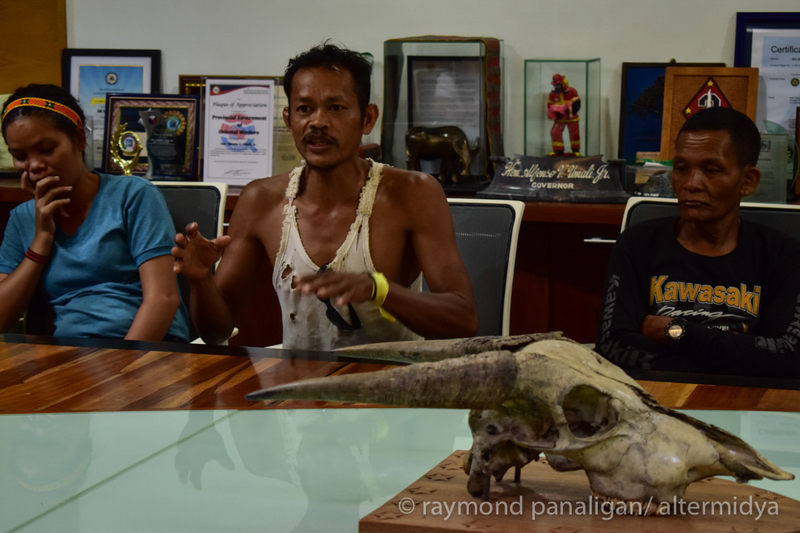 Mr. Panaligan is a member of the Photojournalists Center of the Philippines (PCP).